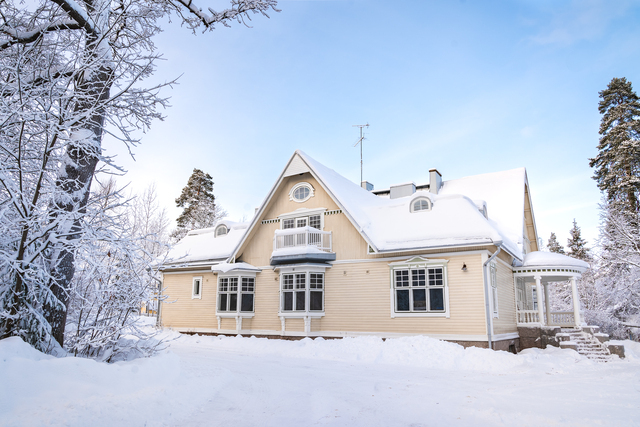 Apartment in beautiful old villa in idyllic Kauniainen! The villa is divided into 3 large apartments and was completely refurbished in 2019. The apartment features 2 bedrooms, living room, open kitchen, bathroom, and separate WC. The apartment has 3 original fully functional tile stoves. 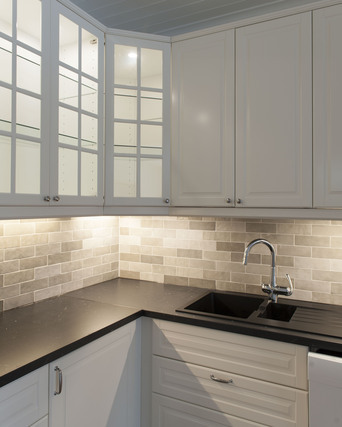 Fully equipped kitchen with stove, vent, oven, fridge, freezer, dishwasher, and microwave. Bathroom has a shower and floor heating. Parking space outside. Bus stop, Kauniainen train station, grocery store, and school within walking distance. The water fee, electricity, heating, and waste disposal are included in the rent. The tenant must take home insurance. No agency fee for private persons; minimum rental period 12 months. For companies: Agency fee paid by the tenant; 3968€ (1,24 x 1 month's rent). Yksityisiltä ei välityspalkkiota; minimivuokrausaika 12 kuukautta. Yrityksille/työsuhdeasunnoksi: Vuokralainen maksaa välityspalkkion; 3968€ (1,24 x 1. kuukauden vuokra).